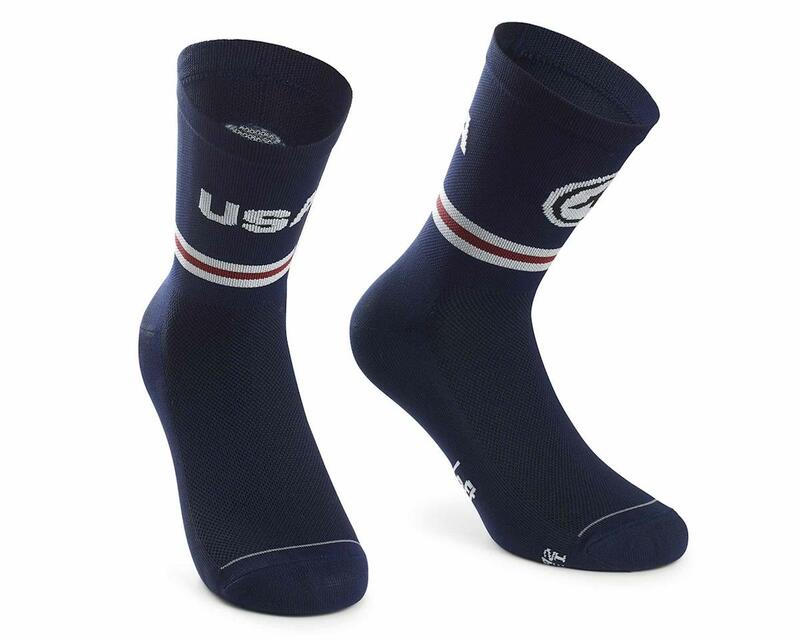 The Assos USA Cycling socks are lightweight summer socks featuring a classic length cut and celebrating Assos's work with the elite riders of USA Cycling. Made from a comfortable blend of ............, providing breathability and improved airflow. A unique composition helps transport moisture away from the skin to keep your feet fresh and cool. Constructed to provide optimal support to your arches. The toe and heel pads are also reinforced to improve longevity.